Broccoli health benefits are well documented by scientific studies from all around the world. And not only are broccoli nutrients incredibly high, but broccoli calories are incredibly low! The broccoli health benefits all combined make it one of the best vegetables you can eat. And besides the fact that broccoli calories are so very low and broccoli nutrients are so very high, broccoli is a very adaptable vegetable. 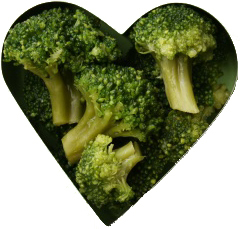 Even though raw broccoli has the most nutrients, lightly steamed broccoli is a close second. Plus, you can use broccoli in a variety of recipes. Broccoli is an old-soul vegetable that's been around for at least 2000 years. It comes with a treasure-trove of broccoli nutrients, including some that slow down aging, and has just 12 calories in a half cup of raw broccoli and only 22 calories in a half cup when it's cooked. As a major member of the cruciferous family, broccoli is a close relative of several other important upstanding vegetables, such as cabbage, Brussels sprouts and cauliflower. Cruciferous vegetables have been shown to slow down aging and prevent many kinds of cancers, including breast cancer. 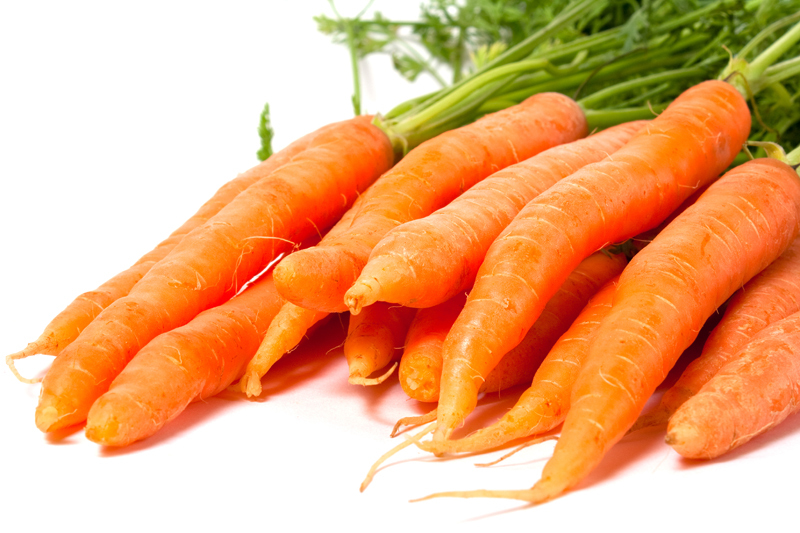 They contain cruciferous compounds (such as indoles and supforaphane) and carotenoid phytonutrients (mainly lutein and zeaxanthin) thought to be responsible for the anti-aging, cancer-preventive activities in cruciferous vegetables. Broccoli is also a rich source of dietary fiber and vitamins A, C, K and B complex, especially riboflavin (B 2), pantothenic acid (B5), pyridoxine (B6) and folic acid (B9). As for minerals, broccoli is a good source of potassium, magnesium, calcium and other essential minerals. Studies show that people who eat the most cruciferous vegetables have the least risk of certain cancers, including lung, colon, bladder, prostate, ovarian and breast cancer. Just 5 or more servings a week of broccoli or other cruciferous vegetables can greatly reduce your cancer risk. And the latest research shows that a diet high in cruciferous vegetables (rich in sulferophane and indole-3-carbinol) can lower your risk of cardiovascular disease by as much as 20%. Sulforaphane crucifers have also been shown to help protect human eye cells. The powerful carotenoid factors, particularly lutein and zeaxanthin, in broccoli and other green leafy vegetables are great for your eyes too. One study found that those who eat broccoli at least 3 times a week have 23% less risk of cataracts than those who eat it once a month or less. Since it's so high in antioxidants (especially carotenoids and vitamins A and C), broccoli is also an excellent immune booster. And because it's high in folic acid too, it's recommended that pregnant women and women who plan on getting pregnant eat lots of broccoli. Broccoli is even considered to be a better bone builder than milk and other diary products since it's high in calcium and vitamin C and so low in fat and calories that you can eat plenty of it. Raw broccoli can be used as a snack or in salads. Lightly steamed broccoli makes an excellent nutritious side dish, as long as you skip the extra fat and calories from butter, Hollandaise sauce or melted cheese. And you can add broccoli to soups, casseroles, stir fries and pasta sauce. So broccoli is not only one of the top 10 healthiest vegetables, it's also extremely versatile.